The surge in personalized medicine and the quantified self movement offers providers more tools than ever to engage patients. Mobile apps and online services now collect data for a deep dive into our health, from prevention to optimization. In my years as a clinician and writer focused on preventive health, I’ve observed that simply relying on data does not always drive motivation. 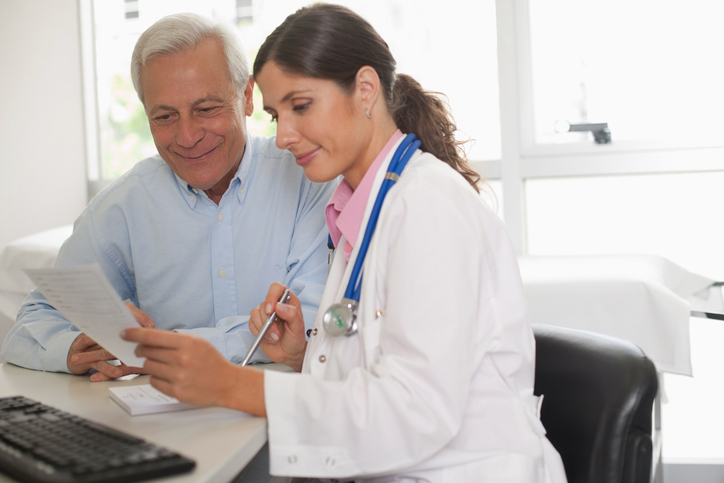 In fact relying on data alone may mean missing an opportunity to optimize patient engagement. In today’s digital and mobile age, the following should be key tenets that drive engagement. While a single data point has value, there are additional pieces of data that help inform a patient even more about their health or disease risk. Consider the biomarker glucose. A high glucose level indicates elevated blood sugar levels to show early diabetes risks. If a patient’s glucose readings are out of the normal range, it could indicate a serious condition. However, testing the biomarker HbA1c provides a more accurate understanding of blood glucose levels because HbA1c is a measure of average blood sugar over the last few months. A comprehensive look at related data points indicated a different level of risk. This contextualized view gives us a more complete picture of what is happening in the body. Knowledge isn’t just power, it’s also empowering. Consider a patient who learns they have elevated High-sensitivity C-reactive protein, or hs-CRP. Providing education about this biomarker to the patient tells them that hs-CRP measures inflammation, the body’s response to internal damage, and is associated with risk of certain future diseases. Emphasis on education empowers the patient to understand they can lower their hs-CRP levels through avoiding smoking and constant high stress situations. Engaging in a moderate amount of physical activity, and eating a diet rich in anti-inflammatory foods, such as fruits, vegetables and fish, and avoiding more pro-inflammatory substances such as simple sugars, trans-fats, and alcohol can achieve the same result. These are tools that empower them make informed decisions about their health. Therefore, technology or services that seek to educate patients with up-to-date information and research will do a more effective job in driving patient engagement can behavioral change than simply throwing numbers at them. Such education can arm patients with the knowledge to make healthy choices throughout their lifetime. When thinking about digital patient engagement tools, it’s important to ask how a technology helps a patient use the data to make meaningful change. For a patient to feel engaged, they have to believe they can trust their health team and tools. Health companies are aware they must adhere to strict HIPAA compliance standards so that Protected Health Information (PHI) is kept safe, but it is in a health technology solution’s best interest to proactively reassure patients. How costs in healthcare are calculated is neither straightforward nor particularly transparent. The experience is often frustrating because charges, price arrangements, and co-pays often vary. When providing a consumer service, take pains to provide patients straight-forward, upfront billing. According to the American Journal of Managed Care, a patient spends 20 minutes in front of their provider in an average visit. The time they’re not in front of their provider can be influenced to their advantage or detriment, depending on the type of tools and access they have to their data. Patients can play a greater and more active role in their health if providers and technology companies enable them to have unrestricted, 24/7 access to their health plan of action. To conclude, when digital health companies are hatching their next killer app to boost patient engagement, it’s important that they incorporate the above best practices. Only then can both providers and companies keep the patient front and center, and continue to improve health outcomes.